A little over two months ago, I shared our Itinerary for Our Trip to Banff and Jasper. Our trip to Banff was one of my all time favorite trips. (It's between that and our One Year Anniversary Trip to London.) Despite it being one of the best trips we've ever taken, we still had some lessons learned from our trip. If we were going back, there are a few things we would do differently. I thought I would share them here so that if you were planning a trip one day, you could learn from our mistakes! As always, if you have any questions please leave a comment or send me an email and I'll do my best to help! 1. Book Your Lodging Early - Tyler and I went to Banff in July 2018. We booked all of our lodging in December 2017. We thought over 6 months out was plenty of time, but we actually had few choices in our price range booking at that time! We were looking to spend around $150 a night for lodging. If that is your budget and you are planning a trip for next summer... book your lodging now!! We stayed in AirBnBs the whole time and had a great experience. If you've never used Airbnb before, you can sign up under my link to save $40! (Note - I do receive a credit if you book under my link.) If you are willing to spend more than $150 a night, you will have plenty of options for lodging still available if you book closer to your trip. however, if you're on a budget like we were... I'd recommend booking far in advance if your trip is during busy season! 2. 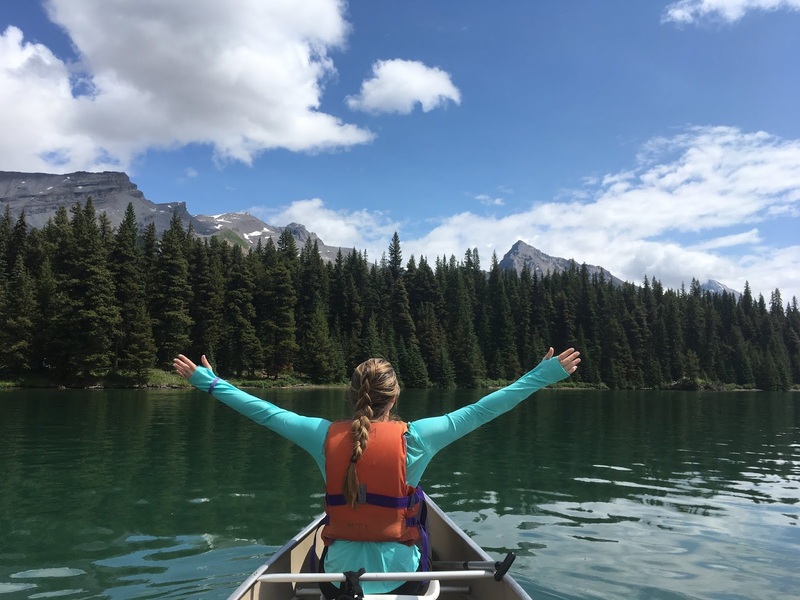 Parking at Lake Louise/ Moraine Lake is a Mess - With the rising popularity of Banff, it is getting harder and harder to park at the actual lakes of Lake Louise and Moraine Lake. I have heard that even if you get there by 7 AM you might not have a spot. (Someone who we met while we were there said they tried to park at 8 and there were no spots left!) However, there is an overflow lot clearly marked on your route to the lakes. When we were there, it was $15 per person for round trip bus transfers from the lots to the lakes. We did have to wait in line for ~20 minutes until we could get on the bus. The buses worked fine but they don't run all night so your time at the lakes is cut short if you have to take a shuttle back to your parking spot. 3. Free Parking at Lake Louise Gondola - We took the shuttle to Moraine Lake on our first day. The day we went to Lake Louise we parked at the Lake Louise Gondola and were able to be shuttled between the Lake and the Gondola for free! (We just paid a tip to thank them for the free ride!) This was so seamless and there was really no line at all. Super handy and cheap!! I would definitely go this route for overflow parking if needed. More information can be found here. The shuttles don't run all day, so you still have to account for that, but it is a great option to have. 4. 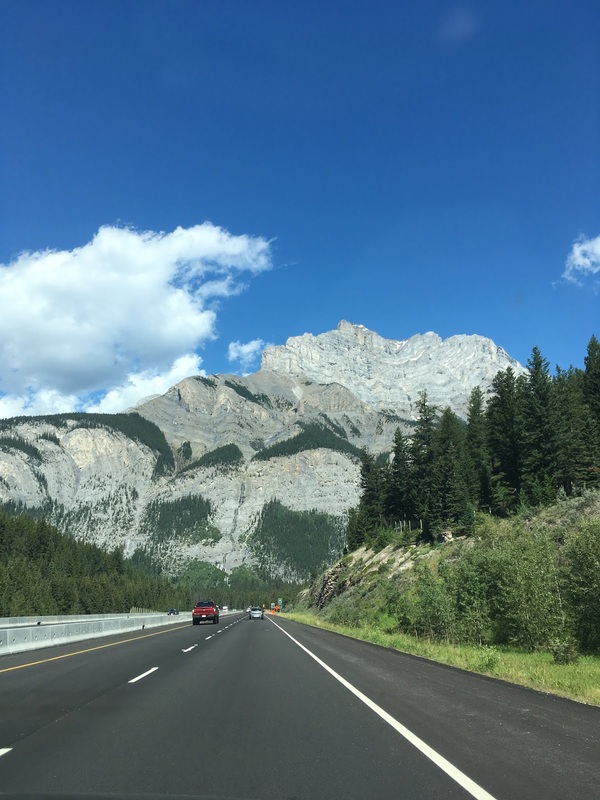 It is a 45 Minute Drive to Lake Louise - When we were planning our trip, a 45 minute drive to Lake Louise didn't seem that bad. (Moraine Lake is even further.) However, due to the shuttles, you can't stay at Lake Louise all day unless you get there early enough for parking at the lake. I really wish we had been able to go hiking all day at Lake Louise, watch the sunset, and then stay for dinner at Chateau Lake Louise. This really wasn't an option with the shuttle/parking situation. Also, we would have wanted to shower/get ready for dinner and it wasn't worth all the drive time to head back to our AirBNB in Banff to do so. If I could redo our trip, I would have splurged for a day at Chateau Lake Louise. That way, you could park at the Gondola for free in the morning. After hiking (and once you can check into the hotel), take the shuttle to pick up your car and drive back to the hotel. From there you can check in, shower, go out to eat, and have the night to explore the lake more. The next day you are there bright and early to hike again! The Chateau Lake Louise is pricey but for the time you would get to spend at the lake, I think it would be worth it! You could also see if they have any less expensive options elsewhere at the lake. 5. 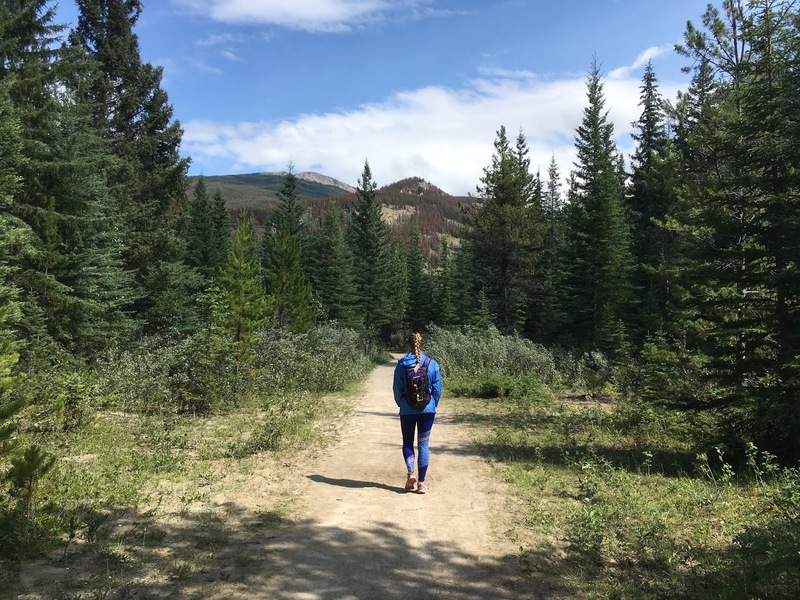 Explore Calgary at the End of Your Trip - I mentioned this in my full itinerary of Banff post, but Tyler and I originally planned to explore Calgary on the first day of our trip. However, once we there, all we wanted to do was get to the mountains! Due to that, we didn't really enjoy our first day in Calgary. 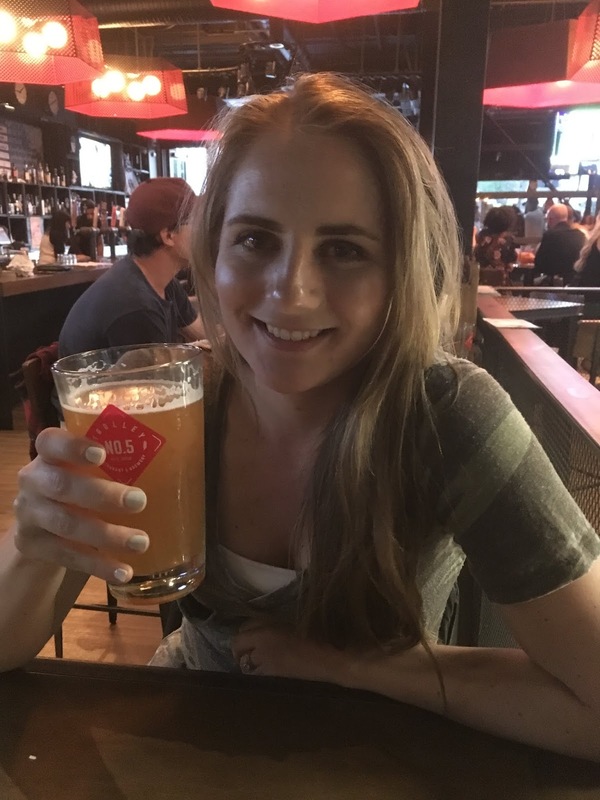 We ended our trip in Calgary, and the night we were there we had so much fun walking around the city and exploring what it had to offer! My recommendation would be that if you want to have some time in Calgary to allocate time for it at the end of your trip. When you first get there, you will be itching to get straight to the lakes (at least if you're like us you will be! ), so save the city exploring for your last day there. 6. Break in Your Hiking Shoes - Hopefully this is an obvious one, but if you buy new hiking shoes for the trip make sure you break them in prior to your trip! Mine were from Eddie Bauer, and these look to be most similar to the ones I wore. Tyler and I starting wearing our hiking shoes a few months before the trip on our nightly neighborhood walks and it definitely helped to have them ready to go at the time of our trip! 8. Pack a hydration pack - A hydration backpack is a must for your packing list! This one is the one I packed. It worked great! I had no issues with leakage and it kept my water cool all day. It also had a small zipper section where I was able to carry a rain coat, snacks, my phone, etc. Tyler actually liked mine more than his because his did not have room to carry anything else. (This is the one he had.) Tyler's did work great, so if you want something smaller his would be a good option. It was just really handy to be able to store some extra items in mine! 9. You're going to spend some time in the car - Your trip to Banff is going to require quite a bit of time in the car. To start, you'll have to drive from Calgary to Banff (~78 miles one way). If you stay in Banff you'll have to drive to Lake Louise (~31 miles one way), Peyto Lake (~62 miles one way), etc. Be prepared for lots of car time while you are there! I would also recommend having Spotify (or some music) on your phone since as soon as you're out of the cities the radio cuts in and out on the car. 10. Buy the Lonely Planet Banff Guide - Honestly, this book was so helpful in planning our trip. It was also really nice to take with us while driving/hiking places where we didn't have wifi to be able to reference blog posts for tips! 10/10 would recommend you bring it along for your trip just for that reason alone. 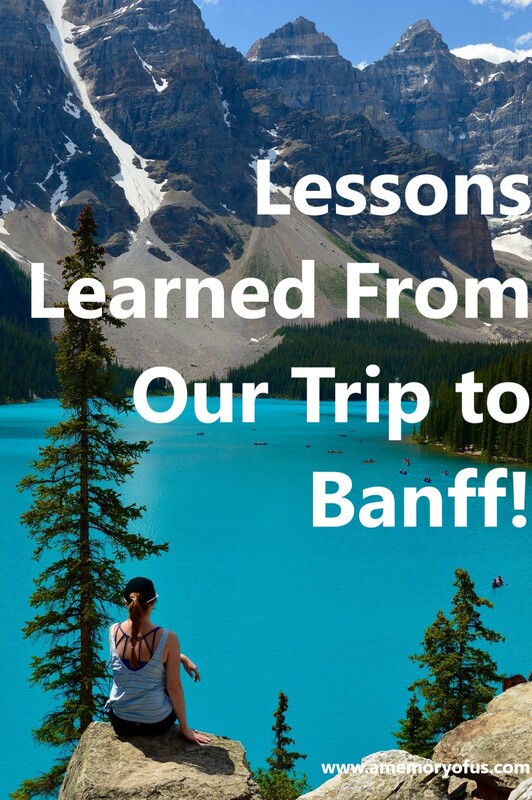 I hope these tips help you plan a trip to Banff! If you have any questions, please leave a comment or send me an email!